Settle foreign lands, battle for freedom and form a revolutionary new government! 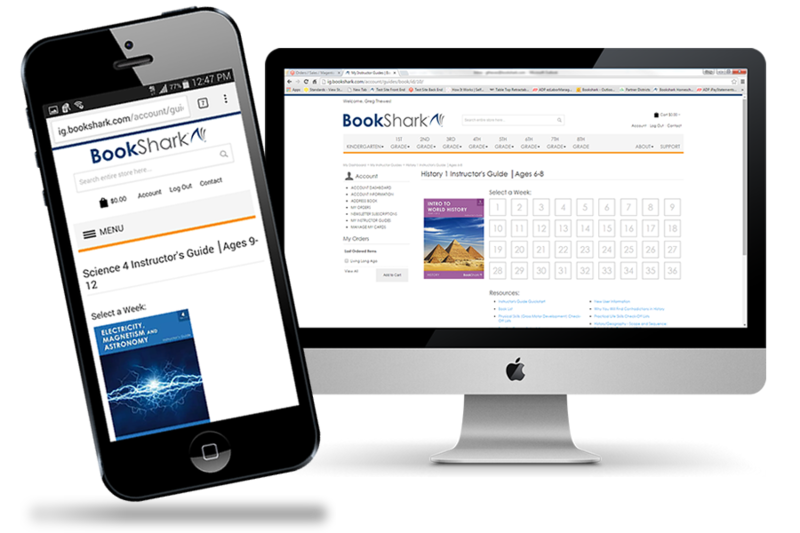 Reading with History 3 links BookShark's proprietary subjects together. History, Geography, Read-Alouds, Readers and Language Arts are integrated (Language Arts can be purchased separately). Meet Paul Revere in a history book, then see him in a Reader. Get to know George Washington in a biography, then see him again through children's eyes in Johnny Tremain and Phoebe the Spy. As your children learn and discover in this style, they'll make astonishing connections between the people, places and events in American History. Bring life to your American heritage. Ask questions such as: What makes this nation different? How did it come to exist? Why don't we have a king? Who lived in North America before Christopher Columbus came? Why did settlers risk everything to start over in the New World? Even if you're not from the U.S., learn valuable context for the world as it is today. See firsthand how the first modern democratic republic began. Discover how Americans fostered personal freedom and the spirit of innovation that so many countries emulate today. BookShark's overarching goal for this package is for children to understand the context and progression of American History. Your child will grasp why people came to a new land and how they persevered and settled the continent. They will discover the civilizations that lived here before the Europeans arrived. You will be prompted to discuss how our Founding Fathers struggled mightily to create a new sense of equality and write a living Constitution. 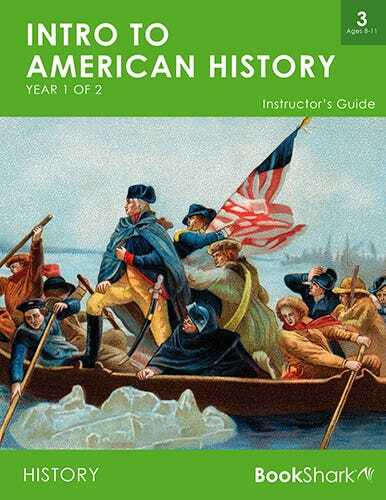 This engaging style will provide your child a deeper understanding of American history. We touch on struggles between American Indians and settlers and the sad realities of racial conflicts, but we don't dwell on them. Instead, we focus on the creative, hard-working, vibrant spirit that helped families of early settlers, immigrants, pioneers and pilgrims overcome great obstacles. As an added benefit this year, you will receive free online access for 1 year to the electronic version of this guide. Walk the World's Rim, where you meet Europeans in Texas long before the Pilgrims landed. The Sign of the Beaver, a Newbery Honor tale about a white boy rescued by an Indian chief. Level 3 Readers tie directly into the History content of the Package. These masterfully written, adventure-filled stories help cement the transition from "learning to read" to "reading to learn." For children who are voracious readers or are on the older end of the 8-11 year age range, choose the Advanced Readers under the "Customize" tab. You'll get all the Regular Readers plus eight more gripping books. What is the difference between Level 3 Regular Readers and Level 3 Advanced Readers?